Yucatan it is known as Hanal Pixan which means “The path of the soul through the essence of food;” in the highlands of Michoacan it is known as Jimbanqua or the party honoring with flowers the people who died that year; in San Luis Potosi, Hidalgo and in the southern part of Oaxaca it is known as Xantolo and Day of the Dead in the majority of Mexico. 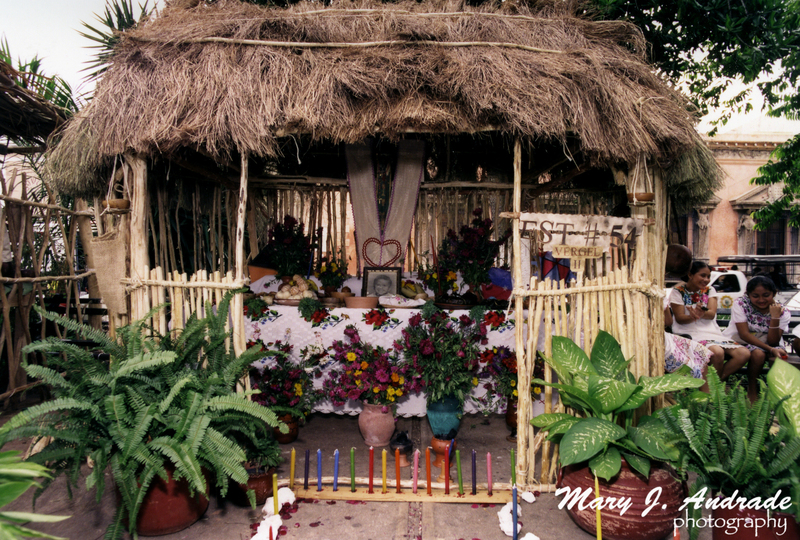 Whatever name is given, this is an ancestral tradition that blended with Catholicism to create a special time and space to remember and honor the loved ones by offering them an ofrenda, the fragrance of the flowers, the light of the candles, the aroma of special foods and the solemnity of prayers. 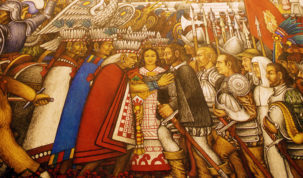 It is also a time to joke and make fun of death through “calaveras”, poetry allusive to a particular person, generally politicians; sugar, chocolate and amaranth skulls which are given to one another with their friend’s name so “they can eat their own death” and special crafts allusive to different aspects of the living, with skeletons representing daily activities. 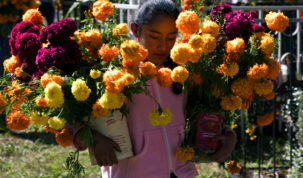 People start getting ready for the celebration on the third week of October with the harvesting of the cempasuchitl flower, also known as the flower of the twenty petals or the flower of the dead which is sold in the market place or Tianguis, where the family goes to buy everything that they will need to put on the altar. On the altar they will place the ofrendas of fruits, vegetables and the special dishes prepared for the soul to enjoy the essence of the aroma of the food. This altar will also have items that once belonged to the deceased. 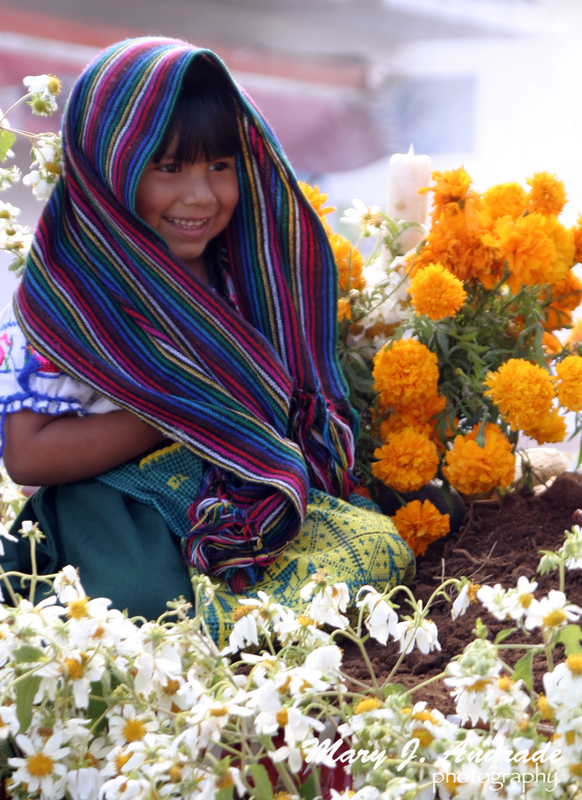 On November 1st in many towns the ritual of the Vigil of the Little Angels takes place in the cemeteries, particularly in the islands of Janitzio and La Pacanda in Lake Patzcuaro, Michoacan. Little girls dressed in satin blouses and colored skirts, white stockings and shiny shoes are the center of this ceremony. Wearing the white pinafore, an important piece of the Tarascan feminine attire, the girls calmly comply with the tradition while they are observed from a certain distance by their parents. This is the way the tradition is passed down from generation to generation. On November 2nd, the souls of the adults are honored in their homes with beautifully decorated altars. 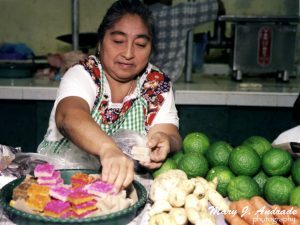 Each state has different styles but all of them represent a place where the ofrenda becomes a spiritual communion between life and death. Again, in each state the making of the altar and the rituals are different. The celebration concludes in many towns with the vigil in the cemetery. In some places the vigil is done during the whole night of November 1st to November 2nd. In other towns the vigil is done during the day. Mysticism is the rule in the cemeteries, but in many music is also part of the ritual that combines religious prayers with the sounds of the trumpet playing a tune by a Mariachi band. In others it is a trio that sings a song by the tomb or in some cases even a band plays danzones at the entrance of the cemetery. Ritualistic dances are also part of the celebrations in many places honoring the deceased. 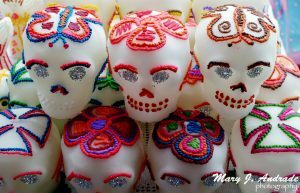 Whichever way is celebrated, Day of the Dead is a time of reflection about the meaning of life and the mission that one needs to fulfill. Death in many situations imparts a feeling of pain and loss, particularly for those who do not know the purpose of their path on this earthly plane. For others, death is transcendence, transformation and resurrection. 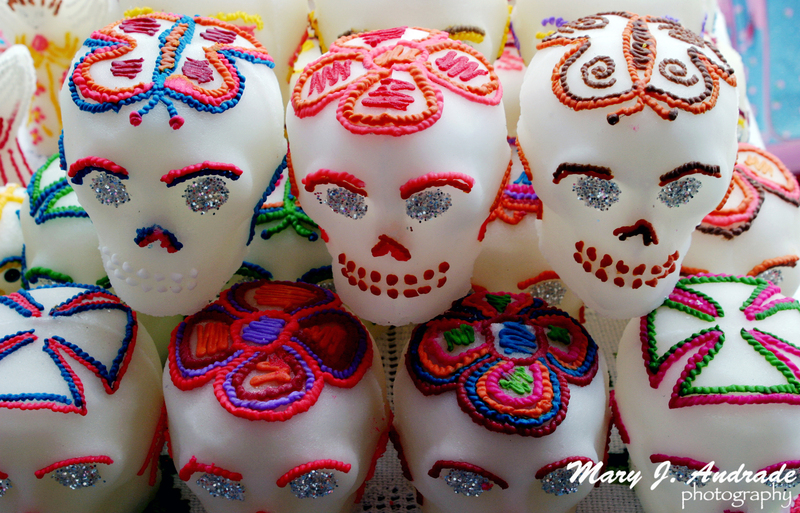 During the celebration of Day of the Dead all those feelings and beliefs come together in a season that brings to life the memory of the loved ones.